It's time you got rewarded! Get ahead with Murphy Drive Rewards. Register to start saving. Download the Murphy Drive Rewards app or register right here. Find deals on gas, snacks, drinks and more. Driver Members can earn points and redeem them for special savings. Get gas discounts and find nearby stores so you’re never far from savings. Hop in! We’ll show you around. Search for Murphy Drive Rewards in the App Store or Google Play, and register on your phone to get started. 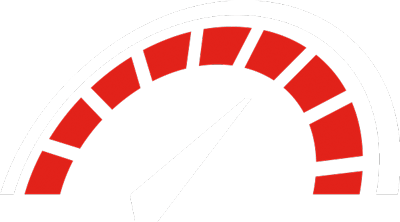 Introducing Murphy Drive Rewards, the premier customer loyalty program for Murphy USA! You got a sneak peek at the NLC and now we’re giving you another chance to see it in action. Don’t forget! Every offer you see inside the app is a live offer, BUT you won’t be able to earn points or redeem offers just yet. These will go live in your app when your market goes live on your scheduled roll out date. For now- answer EARN questions and play REV UP for FREE points! Thanks for registering to support ! Every gallon pumped fuels the future at your school. Remember- Stop by your local store for deals on all your favorite snacks, drinks & more. Rev Up, America! 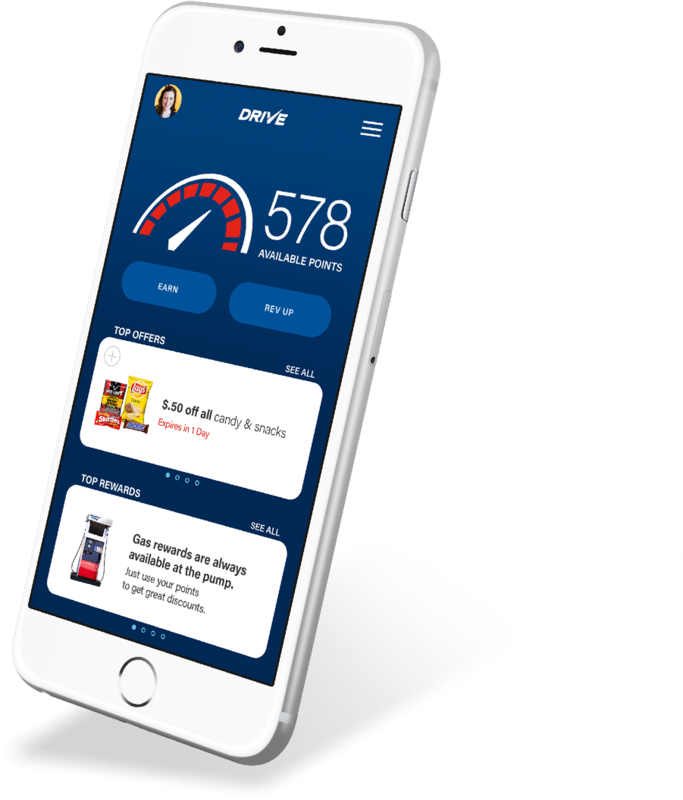 Check your Drive Rewards app often to Rev Up your points. Learn More. Get a head-start on savings in the Murphy Drive Rewards app. Save now and get ahead. Use your Murphy Drive Rewards app when you head to Murphy to save big. These are some of the Drive Deals you might find in your Murphy Drive Rewards app. There, you can also cash in your points for rewards! You can register right here before you download the app. 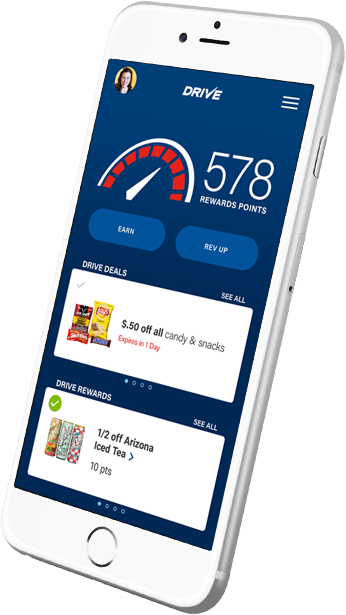 Or, even better, you can head straight to the App Store or Google Play to download Murphy Drive Rewards and register on your phone. For the best deals, follow the road to Murphy. Well Done – Your profile is complete. You went from 0 to 100 points in no time! Now get big savings on drinks & snacks at Murphy!